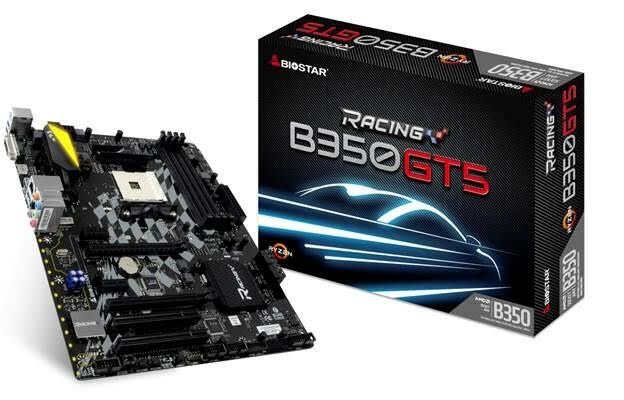 BIOSTAR is proud to announce its expanded AMD AM4 motherboard series lineup as it welcomes the new AMD B350 products in the RACING Series family of motherboards. Offering an amazing balance of value, features, quality and performance, the BIOSTAR RACING Series B350 motherboard lineup is designed for gamers who want a jump-off point for their gaming system using the latest AMD RYZEN processors at an affordable price. 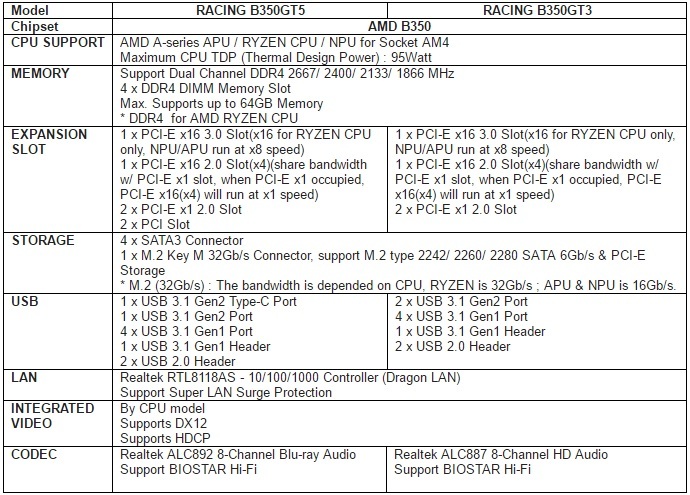 Featuring support for the latest AMD RYZEN processors, the BIOSTAR RACING Series B350 motherboard will deliver performance for the next-generation of games while providing a quality platform for unhindered gaming. The BIOSTAR RACING B350 motherboards come with BIOSTAR exclusive VIVID LED DJ and 5050 LED Fun Zone customization feature as well as FLY.NET network optimization software for maximum gaming fun with less lag. 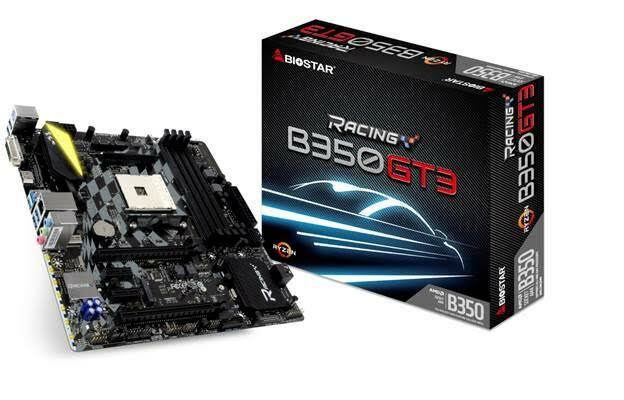 The RACING B350GT5 comes bundled with a free BIOSTAR VIVID LED Fan and will have an MSRP of $129. The RACING B350GT3 will have an MSRP of $109.